Call of Duty: Black Ops 2 is available from midnight on Tuesday 13th November, 2012. What better way to get ready for the game than a little Road to Commander series from the original Black Ops? Feel free to skip this one! This is one of those games that wouldn’t see the light of day if it weren’t for the fact it took place during a Road to Commander series. If you want to see Sendzik & I struggle in some Search & Destroy on Kowloon then go on, hit the play button…. A Black Ops RTC, or Road To Commander, is a video series in which every game from level zero to level fifty is posted. For my own RTC, games will be posted with a mixture of commentaries, live commentaries and live team communication. Black Ops has a built in Theatre Mode but unfortunately it only allows you to upload clips up to 30 seconds in length. If you want to start recording full length Black Ops videos you’re going to need a capture card. There are loads of capture cards out there but I went for the AVerMedia Game Capture HD because it has built in storage, which means there’s no need to hook up my PS3 to a computer when I play. To see how it works, check out this review by JSHD. My set-up for recording commentaries and live team communication is pretty simple. I just plug the USB portion of my headset into a laptop and choose an appropriate recorder. 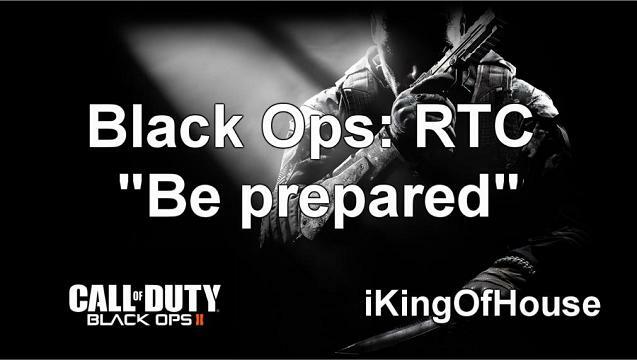 Are you ready for Black Ops 2? Click on the banner above to pre-order your copy & receive the Nuketown 2025 bonus map completely free!